A 14-year-old girl who was forced to flee to the roof of her home during Hurricane Harvey while suffering a painful attack related to sickle cell anemia enlisted Siri’s help to call for her own rescue. When the floodwaters poured into her Houston, Texas, home, Tyler Frank was experiencing a high fever and intense pain after her blood vessels were clogged with red blood cells - which are crescent-shaped, rather than round as a result of the genetic disorder, CNN reported. A sickle-cell crisis, which can be caused by stress and changes in temperature, causes a lack of oxygen in parts of the body and can be more painful than childbirth, according to the National Heart, Blood, and Lung Association. Frank’s brother carried her to the roof, where she took refuge with the rest of her family while desperately trying to seek help. Frank got through and gave the dispatcher her location before a Coast Guard helicopter arrived the next afternoon. 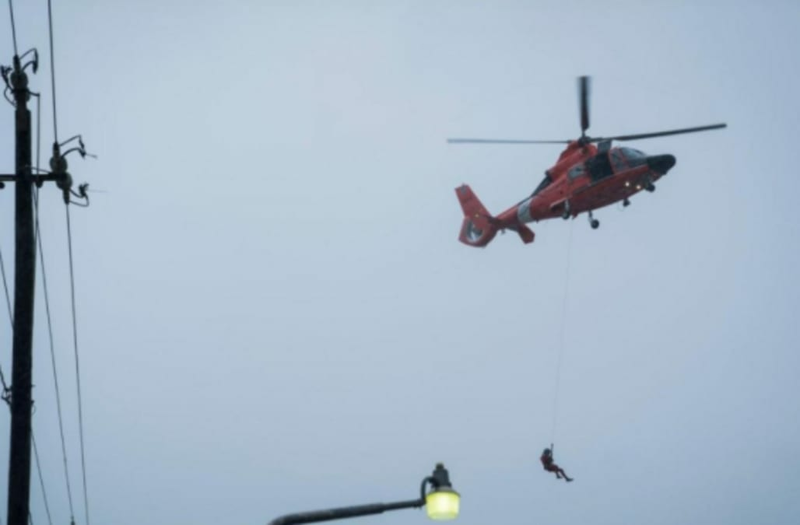 Although her mother Tameko Frank told the Coast Guard her child was in need of medical attention, the helicopter ended up flying off without the teen. “On-scene rescue crews made determinations based upon emergent factors and the conditions faced on the scene,” the statement read. The teen was released from the hospital on Friday, and her hematologist Dr. Titilope Fasipe credited her for her perseverance. "She's got this great sense of humor. She just made us laugh," Fasipe told CNN. "It's so impressive what she and her family dealt with. I don't think most of us can even imagine."